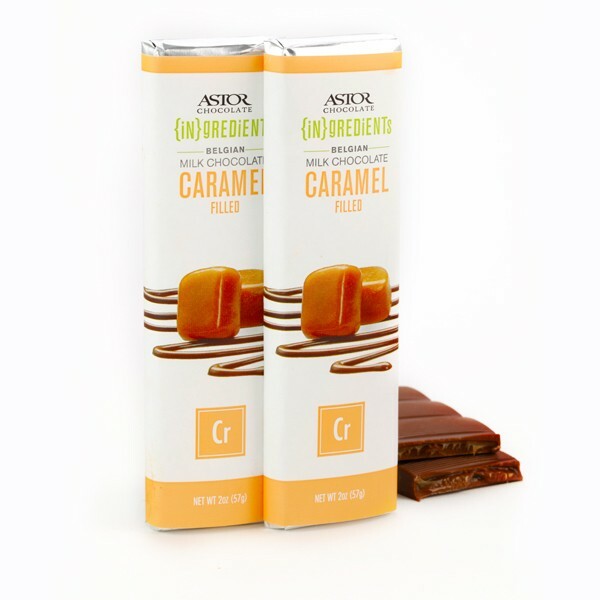 2oz All Natural Belgian milk chocolate bar filled with savory caramel. A best seller! INGREDIENTS: Milk chocolate (sugar, cocoa butter, cocoa mass, whole milk powder, soy lecithin, natural vanilla extract), filling (corn syrup, butter, sugar, hydrogenated coconut oil, fructose, milk, emulsifiers [mono & diglycerides, soy lecithin], salt, N&A flavors, preservatives [TBHQ, citric acid], granulated sugar, potassium sorbate).